Photos by Joel Pelletier www.joelpelletier.ca Featuring Adham Shaikh, Uwe Neumann, Gurpreet Chana, Marty Carter, and yours truly, Ben Johnson performing at the 2015 Starbelly Jam music festival. 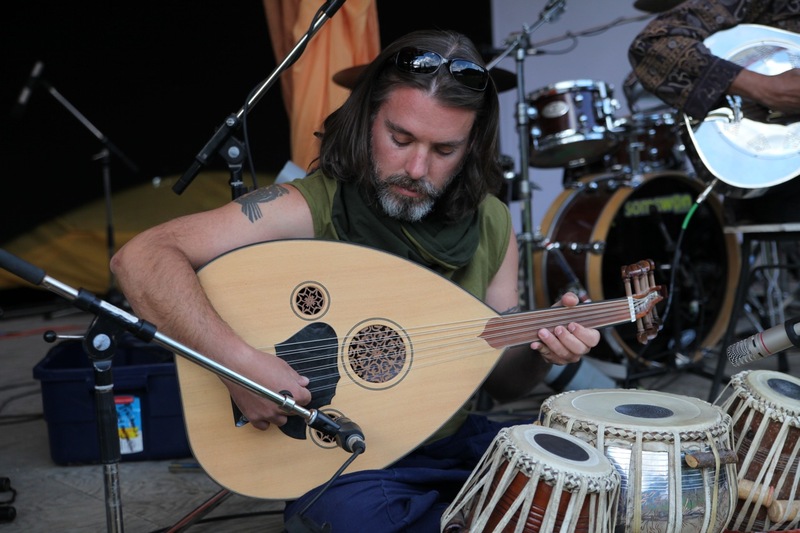 This year’s Unity festival in Winlaw, BC opened with world music improv group “Shrutrio”, composed of Prashant Michael John on vocals & resonator guitar, Marty Carter on flute, saxophone, Akai Ewi wind synth and djembe, and Ben Johnson on oud and tabla. 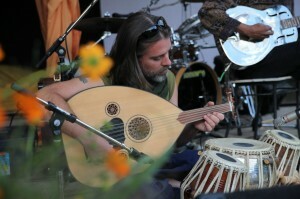 Building on repertoire developed during Kirtan night performances together, the trio took some traditional song forms along with some of Prashant’s original pieces into extra-dimensional sacred space. What a wonderful way to open a festival! Photography by Bohdan Doval.